As I said, it is a nice well-made lip gloss. The tube is chic and sturdy adorned with gunmetal with the signature prints, and it is the right size as well - not too tall nor too short. I personally dislike long slender lip gloss tubes with stiff wands. The applicator may look typical but it is a nice one, too. The doe foot applicator is bouncy and has the perfect amount of flexibility. 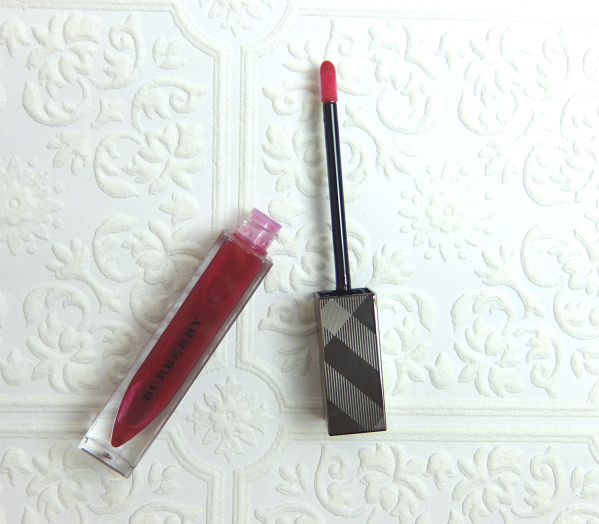 It was almost a year ago when Burberry promoted the "Oxblood" shade in different formulations. There are Lip Glow, Lip Mist, Lip Cover, and nail polish in the range. They all seem to vary in tone and color depths, however. From what I've seen, the Lip Glow looks coolest in the tone, and of course is is sheerest being a lip gloss. It is a sheer red with cool brown undertones. The color is sheer but has a presence on the lips. This rather quickly becomes a blushed MLBB kind of shade, though. 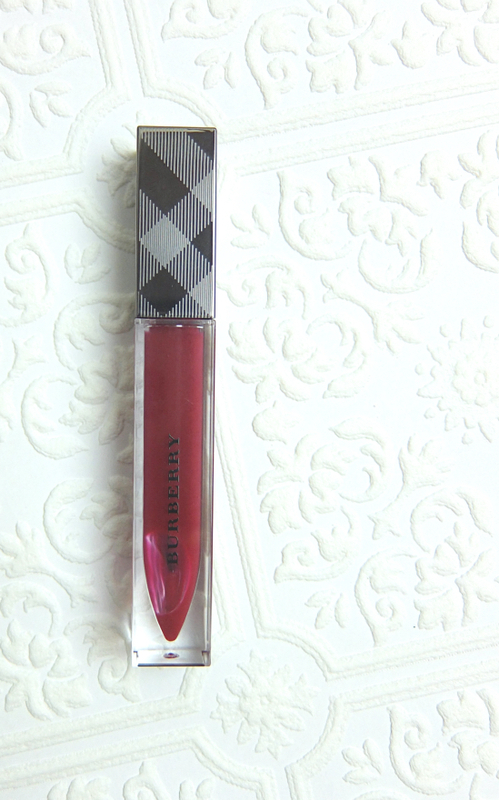 Here is Burberry Lip Glow Oxblood in context. I am not in love with it, but I still reach for it at least a few times a week. For one thing, it is very conditioning and feels wonderful on the lips without being tacky. It fades evenly, too. I wish it didn't have the outdated perfumy scent although it is faint. 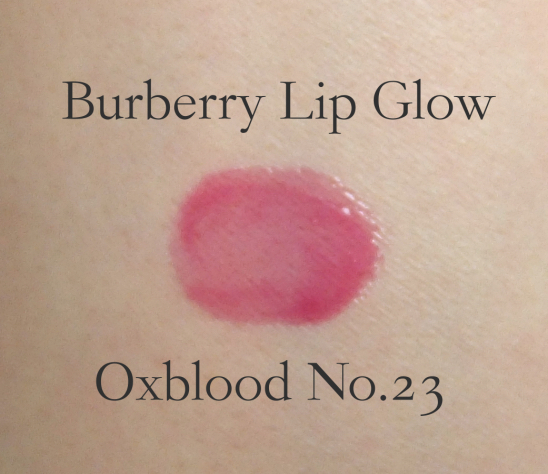 Have you tried Burberry Lip Glow? What is your experience with Burberry makeup in general? Hey Lena, I have this one and I like it, but I am not big on glosses in general, so I see where you are coming from! I do really like their single eyeshadows tho (at least the old formula. Still have to experiment with the new one), and the blushes are great! Maybe I should have gone for the Lip Mist version of this color. I still like gloss but I am more into sheer lipsticks nowadays. Hey Lena, the shde looks lovely but it's a tad bit too glossy for my taste I have to say. Still I'm a huge fan of the packaging of the whole range of burberry make up collection. I heard from my best friend that their blush is very pigmented, so I suppose it's really good. Hi Adrian. Thanks for popping by! It is not tacky at least, and the initial shine can be easily blotted off still with some color and suppleness left on lips. I totally agree the packagings are one of the best out there. Hm what could be different about it such that you'd love it? I find that certain things work well but lack a "wow" factor but not sure what that is. Maybe just expect more for the price or something :) I like the look though! I'm not a gloss fan, but I love Oxblood colored lip products! I'd pass on this one, I think. 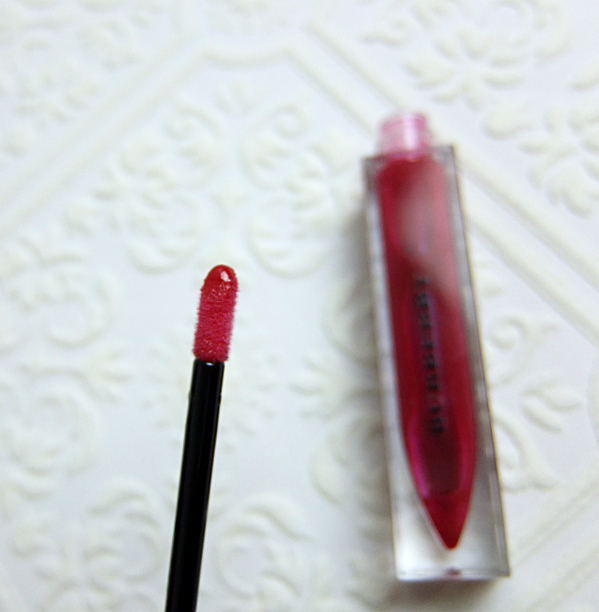 Have you tried the Gerard Cosmetics lip glosses? I keep hearing so much about them! You should definitely try the Lip Mist or Lip Cover in the same color. They give more colors and coverage resulting more of true "oxblood" hues. I wish this one was in my stash! It looks great on you! Really pretty on you! I don't get the Oxblood name though...shouldn't it be darker then? I ADORE THIS! I love oxblood everything, but I never even considered it in gloss form. The colour is AMAZING -- it makes your lips look healthy! I really enjoy how slightly muted yet lively the color looks. It is very easy to wear, too. It is weird that I find some couture brands unreasonablly favorable (like Dior) but feel very indifferent towards some other, like Burberry. I do see what they offer is nice but never find myself wanting anything badly. I guess I am safe in that sense. ;) I also think I should have gone with the Lip Mist version since sheer lipsticks are my favorites of the moment. The packaging is so pretty and looks pretty luxe! I think lipglosses are probably the one type of makeup item that I wouldn't spend THAT much money on. I think lipsticks make a bigger difference between high end and lower priced. Your glitter smoky look is very pretty though! It looks great on you, but I was thinking it would be a deeper color since it's called Oxblood. I have two Burberry products, a lipstick and Midnight Brown eyeshadow. Midnight Brown smooth and delightfully buttery and has an incredible look on the skin, like you used several shadows to achieve the look instead of just one. I wore it on my wedding day, so it's definitely a fave! The lipstick is ok, but not my favorite of all-time. Thank you! :) I thought so, too. But then, I found the lighter cooler undertones in the Lip Glow appealing. I have yet to try Burberry lip glosses.. But I am a fan of their lip cover and lip mist, their eyeshadows and blushes belong to one of my favorites.. But I can understand what you mean.. There are some products that are good but we just can't fall in love with them :-/. Oxblood looks very nice on you , though! I love the color and packaging but it is a bit meh...sorry to hear you're not super happy with it, it isn't such a ground breaking product I guess! Thanks for the review, I just really hope to pick up some singles and maybe a quad from them in the future! I think Burberry always presents something refined yet a bit reserved. It is not like I always go for bling-y stuff but I didn't find them pulling me hard. Hey Lena, this actually looks really good on you. I'm not a fan of lip glosses so I never think of purchasing any lip glosses, period. I do like Burberry's blushes though. They eye shadows are pretty good too. I haven't really tried anything else, other than its lipsticks. I don't like the scent, but I got used to it. I find that there are better matte lipsticks out there than their Lip Velvets, and also better lipsticks in general. 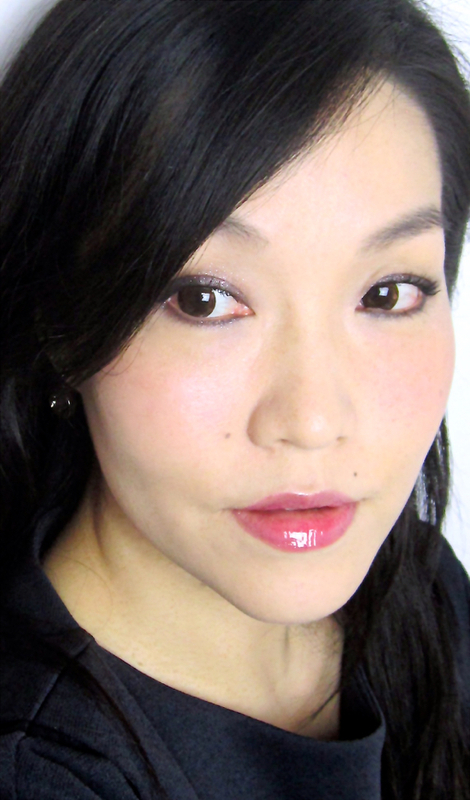 Actually I used the NARS eyeliner to tightline and lightly on the lower lash lines. On the lids, it is just Bbia pigment over an eyeshadow primer. It is pretty - it's a shame it doesn't have that WOW factor! It is pretty, though, and sometimes the nondescript easy-to-wear ones make their way into our hearts, anyway (or at least our makeup bags, lol!). Plus, that eye look you paired it with is brilliant - that should take the center stage anyway!